When you need Cat5e cable, bulk is the way to go. There’s usually enough cabling in the box for an entire installation, with some leftover to make patch cables. And our bulk Cat5e cable, giving you a full 1000 ft to work with, is the best you’ll find. 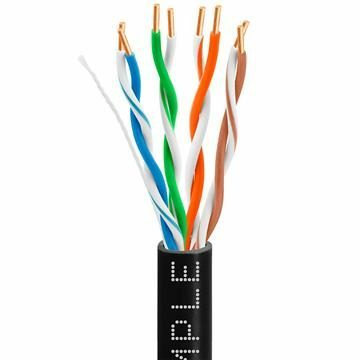 Blazing-fast 350 MHz speed that’s able to effortlessly transfer data on gigabit networks (as well as slower ones), is a hallmark of our Cat 5e bulk cable, as is outstanding design that uses your choice of CCA (copper clad aluminum) or solid copper conductors, and a rugged PVC jacket. 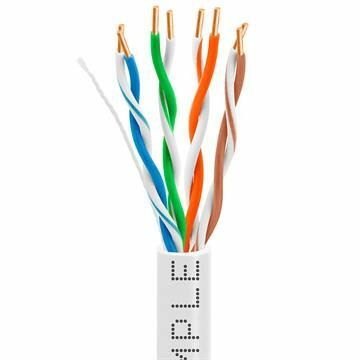 If you have a network that was wired with older, bulk Cat5 cable, our 24AWG Cmple Cat5e bulk cables are a great replacement that will increase your Ethernet speeds dramatically. 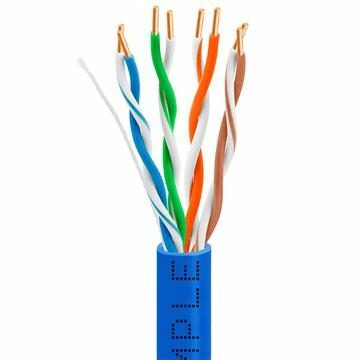 You can choose your preferred cable rating (in-wall, for example) and even your preferred color (white, black, gray, blue, green, orange, yellow, purple, red or pink) – and all at our hard-to-believe low prices.